Hiking has become such a big part of our lives here. Back in Singapore, you would probably find us in malls and cinemas over the weekend, but here, they’ve been spent in wide open spaces, having picnic lunches and admiring killer views (see Lynn Canyon and Gold Creek Falls). Can’t say I’m complaining! 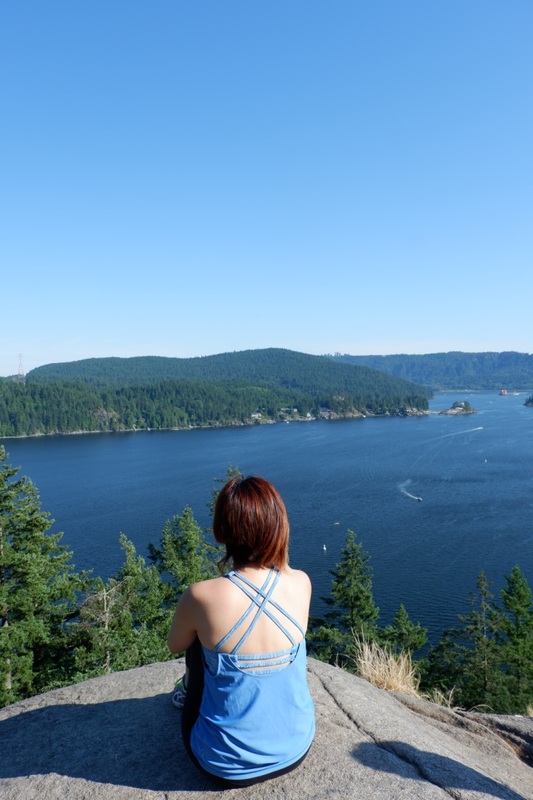 We finally ventured out on one of Vancouver’s most popular hiking spots, Quarry Rock, back in June. The BC government is supposedly limiting the number of hikers here to 70 a day, but we thankfully made it through even though we arrived late in the afternoon. Also, websites list this as an easy hike, and while I thought there were a ton of steps to conquer (i.e. hardly easy! ), I have now come to realise that this is a piece of cake after paying a visit to Joffre Lakes (more on that in a bit). The biggest reward on this hike appears right at the end, when you finally reach this great big expanse of rock and the gorgeous deep blue waters that open up before you. We sat here for a while, basking in the sun and enjoying a slice of quiet (thankfully, not many people were up and about that day). The other great thing about this hike is that it’s open year-round and is dog-friendly too. Oh, and grab a treat at Honey Doughnuts pre- or post-hike - they’re a local favourite and well worth every calorie.